Are You Allergic to Your Pet? These 4 Indoor Air Quality Tips Can Help! If your family includes one or more humans and one or more non-humans, you are one of the 61 percent of Canadians who cohabitates with a pet. The most popular pets in Canada are cats and dogs, followed by fish, birds, reptiles, and other exotics. Pets are so wonderful, aren’t they! They love us unconditionally. They are enthusiastic about anything (well, anything except a visit to the veterinarian). They are so unself-conscious and they don’t take life too seriously. For all these reasons and so many more, pets just make our life better. But they can also make our life worse, especially if we are allergic to them, which is the case for approximately 10 percent of pet owners worldwide. If this describes you but you simply cannot imagine life without your faithful non-human sidekick, we hope these four tips will help ease your suffering! Cats are the highest cause of pet allergies. Yet, ironically, more households contain a cat than any other pet species! Clearly, people are willing to suffer to include a feline in their lives. Pet proteins, and especially those in the dander of cats, are very, very difficult to get rid of. They are so microscopically tiny that they can float in the air for hours at a time. Plus, they are quite sticky, which means that once they float through the air and into your lungs, they will stick to any surface they land on, causing allergies like watery eyes, itching nose, coughing, sore throat, and, for asthma sufferers, an increase in attacks. 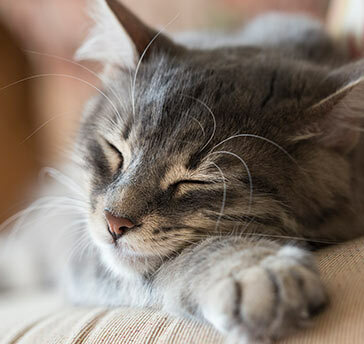 While it is very hard to completely eradicate cat or dog pet proteins from any space (they can even travel on your clothes to places where there are no cats or dogs present and set up shop there as well), you can reduce the amount floating in the air by ensuring you keep your air filters very clean. Generally, we recommend to clients to replace or clean and reuse air filters every 30 days. But if you have a furry family member, you may want to do this even more frequently. If cleaning your filters more frequently doesn’t help to reduce your allergies, the next step is an upgrade. Specifically, you can upgrade to HEPA filters. HEPA filters are unique in that they can capture up to 99.97 percent of airborne small particulate matter. This is the level of filtration you need if you have one or more fur babies living in your house with you! You can also get HEPA vacuum filters and HEPA room air filters, which can be particularly helpful in areas where your pet(s) sleep and for cleaning their favorite chairs, toys, and bedding. For most homeowners today, your indoor air duct system is kind of like a detritus museum. You probably didn’t even think about your air ducts when you bought your home. And the prior owner probably didn’t say anything to you about the last time they had the air ducts cleaned, if ever. So for all you know, the dust and debris trapped inside your indoor air ducts has been there since the house was built! Since that time, it is likely many pets and people have lived in the home, leaving their dust and dander behind. Perhaps in winter, small rodents nested inside and in summer, bugs found refuge there from the heat. Plus, there is plenty of stored dust, pollen, germs, debris, leaves, and/or other matter that has gotten pushed inside and trapped in your air ducts over the years. There is no way to get all of that trapped matter out yourself. The only way to do it is to bring in a professional crew that can vacuum out your air ducts and ensure the debris is securely removed en masse. Once you do this, you will smell and feel the difference. Your and your pets will get a fresh start and you will be healthier and happier for it. Finally, while your pet most likely will not thank you for this one, one of the best methods of reducing the level of pet-related allergens floating in your indoor air is to keep your pet well-brushed, groomed, and bathed. Bathing helps keep the dust and dander down. 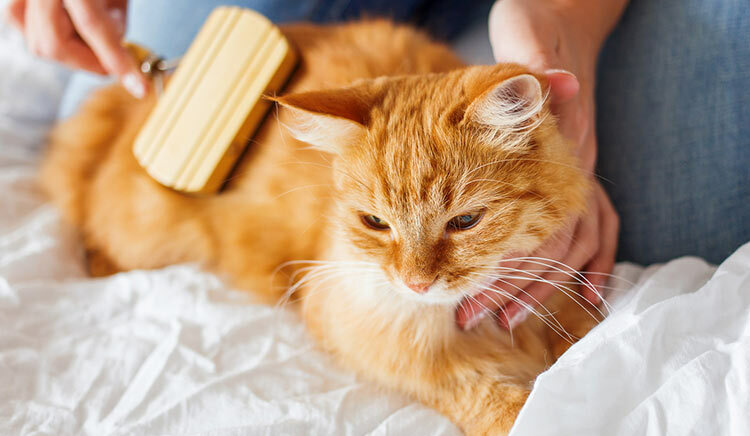 As a side benefit, if your pet also suffers from allergies, regular bathing with a vet-recommended shampoo product can ease their allergy symptoms as well as yours. Keeping your pet brushed and groomed will make your pet feel better and also remove loose or stray hairs that might otherwise start to coat carpets, floors, chairs, and bedding. If at all possible, you should arrange to take your pet to be brushed and groomed outside of your home to keep airborne dander and hair to a minimum. NOTE: If your pet regularly travels in the car with you, consider investing in a special crate or carrier to keep the dander and hair contained. And don’t forget to clean and replace or change your car’s air filters as well! 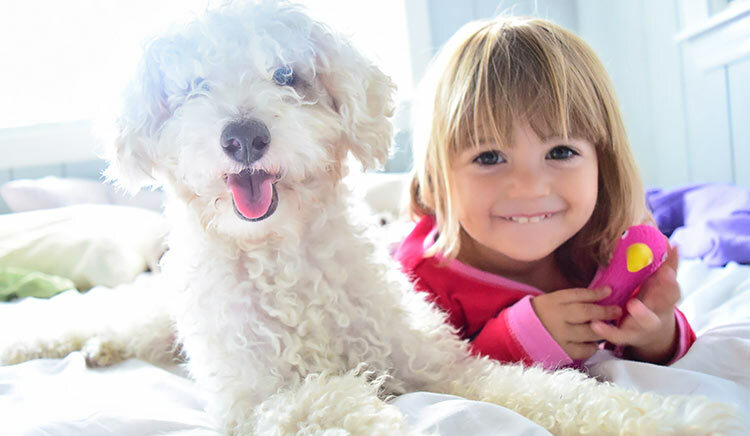 If you are suffering from pet-related allergies or asthma attacks but you can’t bear the thought of life without your precious pet, we can help! Contact us to schedule your free consultation and find out why we recently won the Hamilton Spectator’s Readers Choice Awards for Best Duct Cleaning Company.